The World Explorer Mod will focus in world exploration and adventure. I think this mod is so interesting that you need to have time to play in your free time. It’s fast, not very long range and causes the fourth damage of a standard bow. Its durability is also the half of a normal bows. To shoot with it, you will need pebbles which you can get from cobblestone. It would seem to be a very weak weapon,but it has a particular characteristic: If you shoot a pebble to glass, it will break, so you should be careful with your windows. It’s the ammo for your slingshot, and you get 4 from a pieces of cobblestone. If you put 4 together, you get a cobblestone block in return. A quick weapon. You throw it, and it comes back to you. 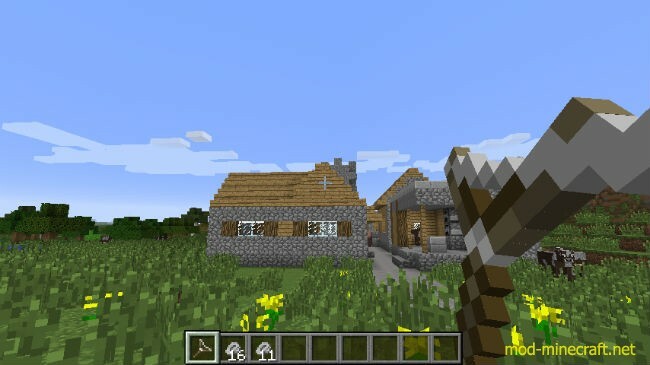 It has a durability slightly lower than a bow, and it can hit more than one mob with a throw. If it hits something else, it will come back to you. It can pick up items from the ground and bring them to you. There will be the possibility to increase the number of items it can pick up. It can travel 16 blocks forward if there is nothing on its way. This can be increased up to 64 with modifications or enchantments, or maybe a different boomerang type. If it hits water or lava, it will go back. Catching it while it is burning will cause you burn too. Throwing it consumes durability, and if it hits mobs, it will consume 1 extra durability for each hit. 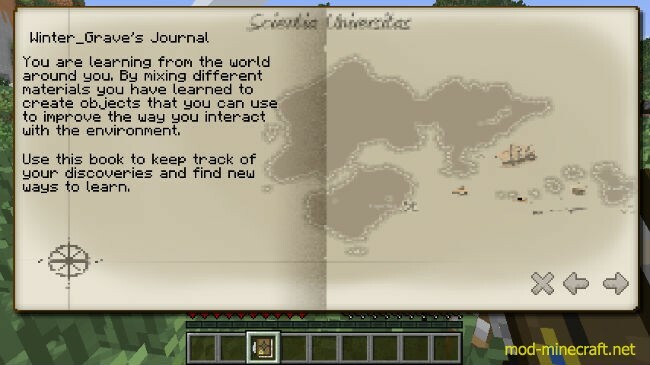 The journal will be an item where you will keep track of your progress and keep your discoveries. It is craftable with a writable book, compass and a clock.